In spite of faithful service for more than a century, not all that long ago marine diesel engines' inherently bad manners had became nearly intolerable. Fuel injectors clatter-clatter-rattled. Exhaust was smoky and smelly enough to make some boaters seasick. Then, just in time for the 21st century, innovative technology breathed new life into Rudolph Diesel‘s namesake. Thanks to Electronic Control Modules, common rail injection and sophisticated grey iron casting techniques, the iron age power got its groove back. Modern marine diesels are soft spoken, have given up smoking, boast miserly fuel sipping manners and are even more reliable than before. How the born again diesel works its magic is as simple as the sea is salt. An onboard computer monitors throttle position, rpm, load, fuel temperature, ambient air temperature and a number of other critical variables. Armed with vital information, the ECM triggers an array of smart injectors that shoot fuel into the combustion chamber at the optimal moment and in the precise volume. In the old days diesel fuel metering was mechanical and depended on engine rpm and the contour of the camshaft lobe that actuated the injector. 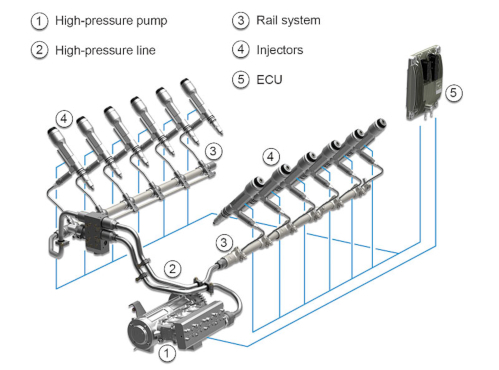 But with the new electronic controls, injector timing, pulse duration, pressure progression and level can be varied. The obvious payoff is a customized, efficient fuel burn. 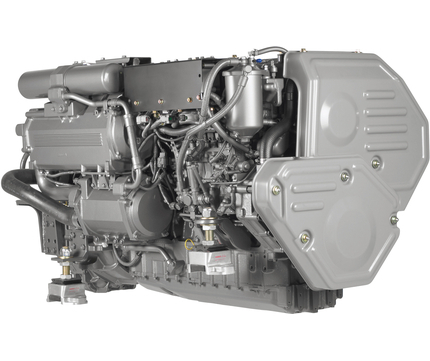 Yanmar Marine’s 6LY3-ETP is a good example of a state of the art electronically governed inboard. Intercooled and turbocharged it squeezes maximum output out of a modestly sized package. Rated 480 horsepower it’s only about as big as an old school 300 horse. A month ago I spent a morning on Biscayne Bay, running a Regal rigged with the twin Yanmars. All the promises made in theory were proven true on the water. I was especially pleased with throttle response that accelerated the heavy boat so rapidly that in the seat of my pants it felt more like gas power than diesel. Its voice-print was subdued and there was nary a whiff of smoke.